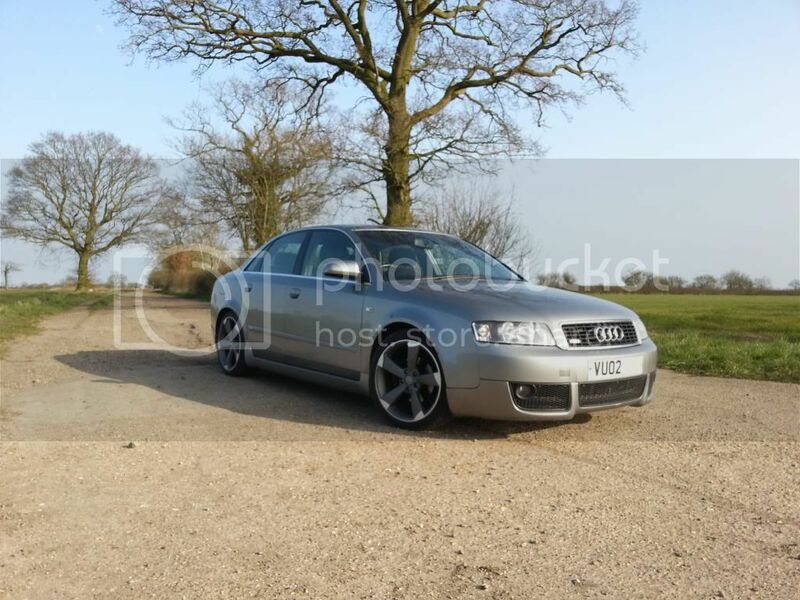 I live in between Norwich and Bungay, I currently Drive an Audi A4 B6 2002 1.9TDI SE. 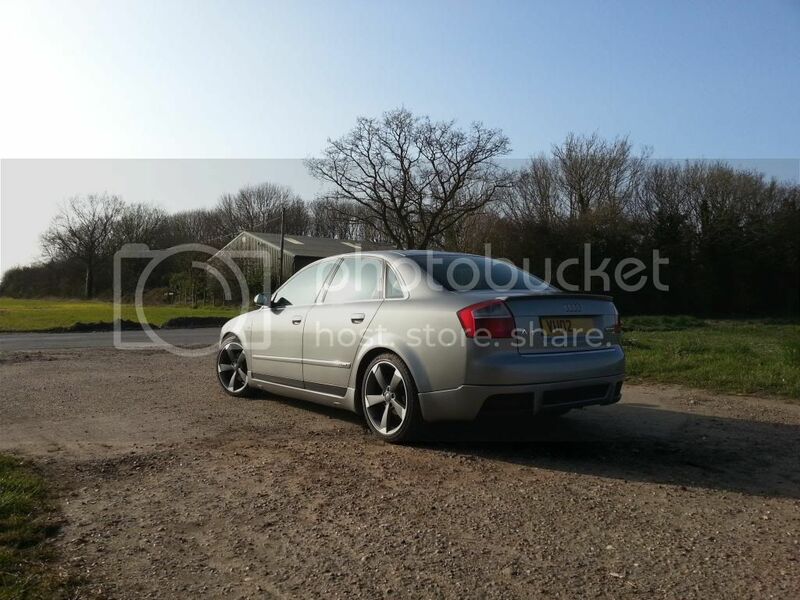 I bought it as a working project, it came with a Vortex Body Kit and had been re-mapped from 130 bhp to 190bhp. Since then i have put aftermarket 18" rotor style alloys on, Mtec drilled and vented performance disks and pads all round, a K&N air filter, a aftermarket audio system, rear reversing camera, CCTV and other little bits. I next want to get rear tinted windows and the body work touched up as like most of the Audi's of this age the arches start to bubble and blist, can't fault the drive of the Volkswagen/Audi workmanship 12 years old and still drives like a dream. That's my car, see what you think once i get a picture up. Last edited by Daniel on Tue Aug 26, 2014 4:08 pm, edited 1 time in total. Welcome mate! I cant see the photo yet? But sounds nice! Cheers, Yeah just worked out copied the wrong text across to view it! Welcome, car looks great mate!